Do you want to make over $250K from Instagram in the next 2 years? Of course you do! This is our no BS guide to making a ton of money on Instagram that we constantly hear people say, OVER and OVER again, they have never heard anyone teach. 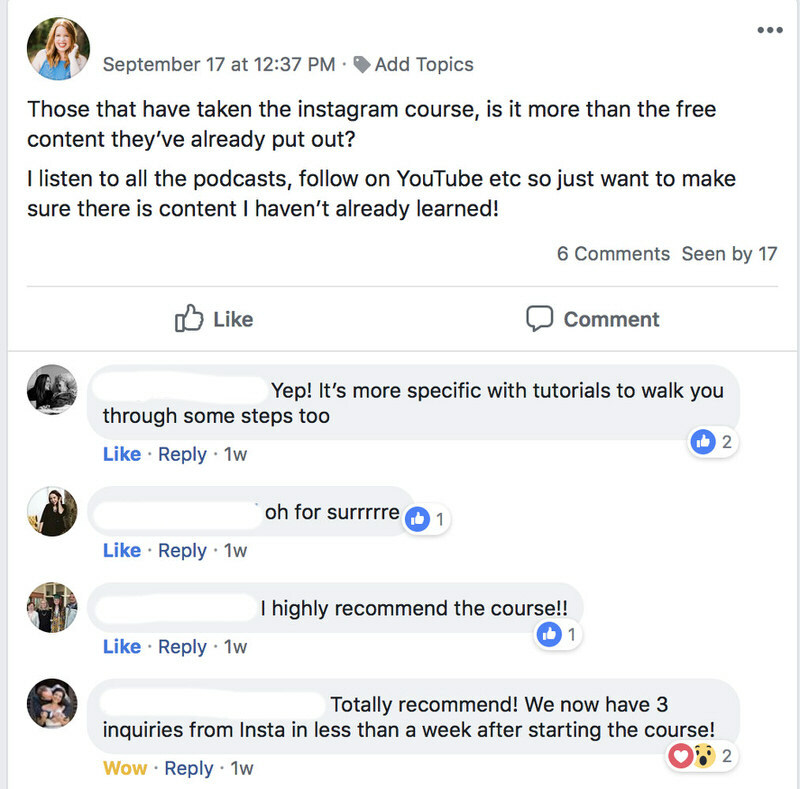 This isn't a "make your feed look good" type of course, this course will teach you how to hack the end users attention, create relationships and make money! 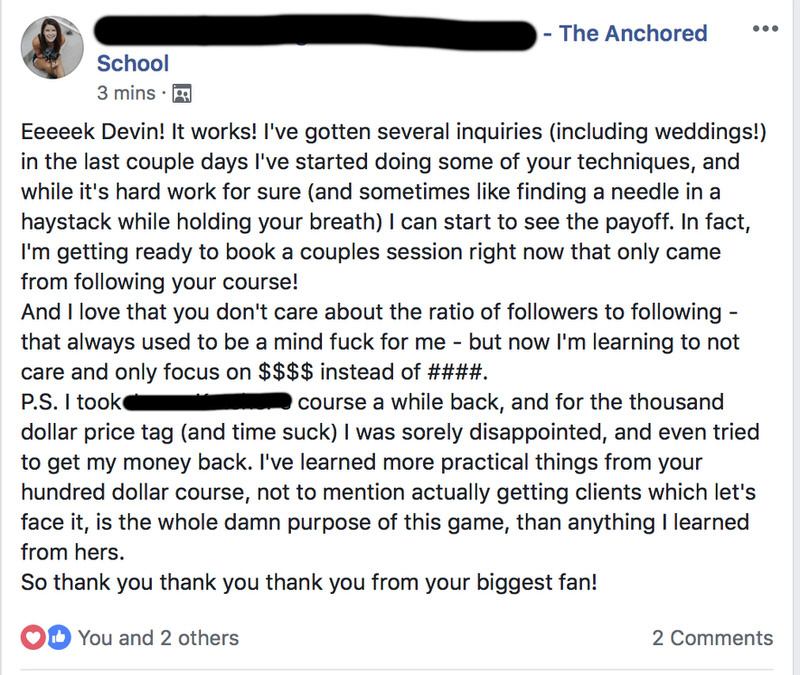 We took an Instagram account with less than 5K Instagram followers, built it to 11K (which isn't a lot) but have made over $250,000 in 24 months by spending VERY LITTLE with Instagram alone! Because this isn't the same ol' "fix your feed" Instagram course. This is one that will actually make you a TON of money if you are patient and do what I have done! Follow the system and use Instagram to build relationships that ultimately build your business! We are going to show you how we made over 200K in 24 months with Instagram while having less than 10K followers! I will show you sure-fire ways to beat the algorithm and leverage Instagram to make you some serious money! Learn how to streamline authentic engagement to build relationships that convert into sells! Optimize your Instagram to build excitement and take advantage of features to build momentum! The only reason the conversion rate was so low was because we are a team of 2 couldn't book more of the leads being. service based industry! And our leads dipped because we put a really high starting price that priced out some leads! 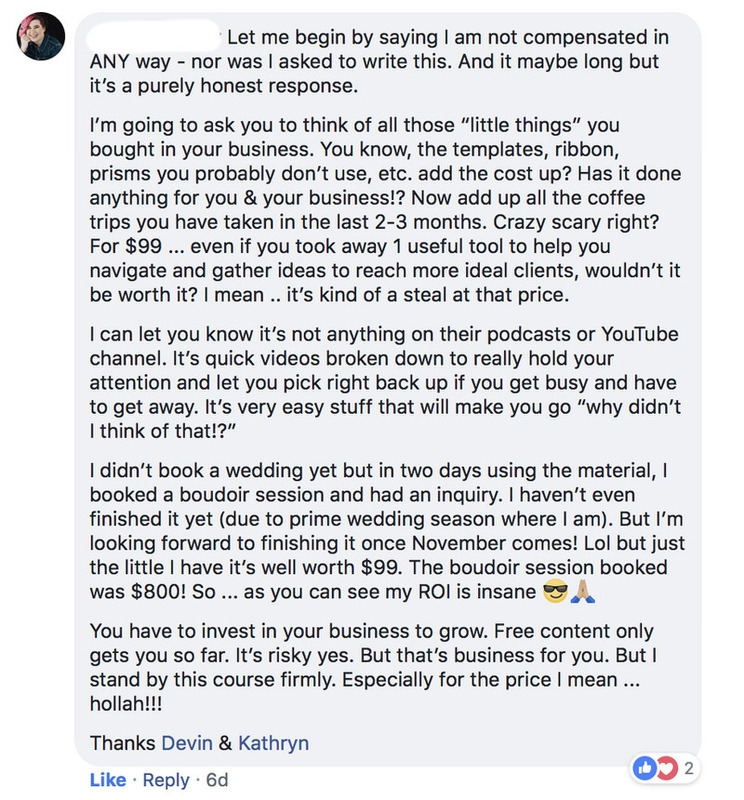 Reviews from some of our customers that have purchased the course! also, Sign up to get some freebies & stay updated on deals & discounts!